It is time for a new article type for Rizzo Music, Artist of the Week. I was thinking about a song of the week but since we have a playlist of ten great songs every week as well as tributes to music videos, I don't think that a song of the week is necessary. Instead we will have an Artist of the Week where every Saturday, I will write an article displaying the great music of one artist. In these articles I will try to direct you to some cool media involved with each band including music videos and acoustic versions of songs. 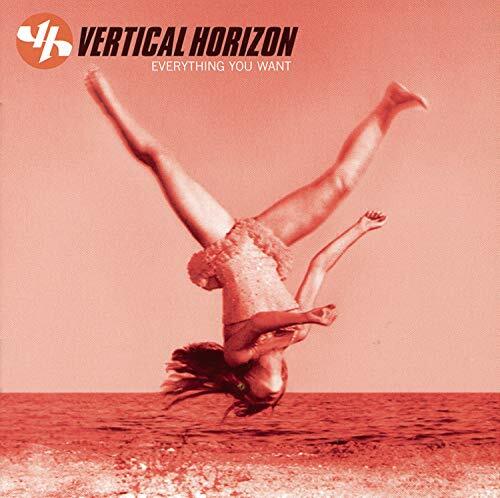 This week I thought I would start with Vertical Horizon, one of my favorite bands. I have been listening to these guys a lot lately, mainly their two major label releases. I recently discovered the full album of Everything You Want, not just the four singles that they released from the album. Almost everyone has heard their ever popular "Everything You Want" single that was constantly played on the radio at the close of the millennium. This is just the tip of the iceberg when it comes to this album. This song has such a great intro that lures you in and never waivers beginning to end. There is a brilliant acoustic version that can be seen here. When this song first came out I was a big fan and was excited to see what these guys would put out next. They did not disappoint as the next two singles are very good ones with "You're a God" and "Best I Ever Had (Grey Sky Morning)”. The music video for “You’re a God” can be seen here, which features Tiffani-Amber Thiessen from Saved by the Bell. “Best I Ever Had” is a musical treat for anyone that has never heard this beautiful song. It was remade by country singer Gary Allen about two years ago and broke into the top ten on the country rock charts. “We Are” was their first single released off this album and is a fairly catchy tune. It never really took off but I remember hearing it on the radio briefly. Now it is time for the heart and soul of the album “Everything You Want”, by examining the songs that were never released as singles. First up we have “You Say” a song with a contagious beat. This song has a great build up that neatly ties the verses and the chorus together. These are some of my favorite lyrics, “Here in the light / It burns you up inside / Here in the shell of a sun / We echo on / Too much listening / Not enough living”. “Finding Me” is next, a song that really has grown on me. With lyrics like these, “Oh so much for nothing / But nothing means so much / I know it's touching / But I've been out of touch”, it’s hard to not like this song. My favorite song from the album is “Miracle”, a great slow moving rock song that has powerful vocals and lyrics that call out in desperation. If you haven’t already noticed I am a big fan of when alternative rockers slow it down a little but at the same time, I am a fan of all different kinds of tempos. There are two other songs from this album that I want to highlight before I finish this album, “Send it Up” and “All of You”. “Send it Up” is a good song worth checking out as well. This song has the kind of lyrics that you want to belt out. 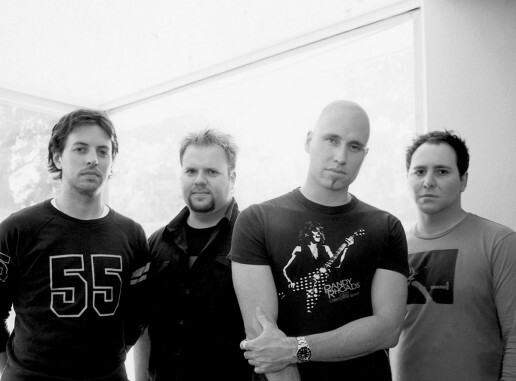 “All of You” is a song that sums up the style of Vertical Horizon with good verses and a great chorus. 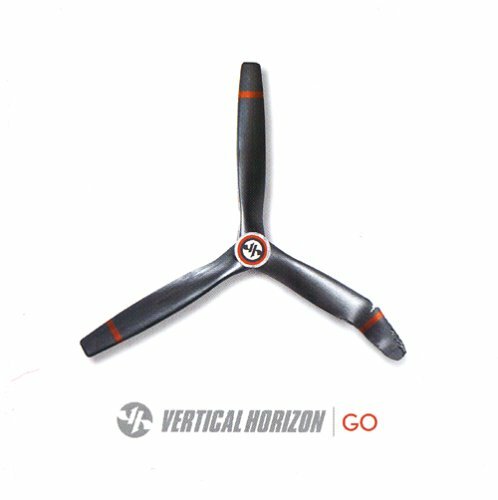 Vertical Horizon’s second major label release, Go, is their latest album. This album has some strange history behind it. It was first released under RCA but they dropped the band shortly after. They were picked up by Hybrid Recordings and re-released the album. With RCA they released the single “I’m Still Here” and with Hybrid, “Forever”. Both of these singles had moderate success but soon fizzled out. “I’m Still Here” is a good song but I can see why it wasn’t popular on the radio. This song belongs more on the track listing then as a single. 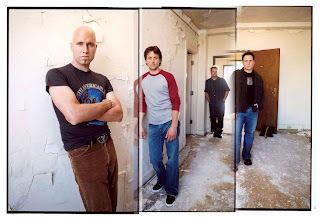 “Forever” is more radio friendly but not the kind of radio hit that Vertical Horizon is capable of producing. It is still a magnificent song that many fans see as Vertical Horizon's best song. You can watch the music video here. I am not going to go through this album song by song but I would like to highlight a few for your enjoyment. “When You Cry”, “Echo”, and “Inside” are three songs that you should definitely check out.